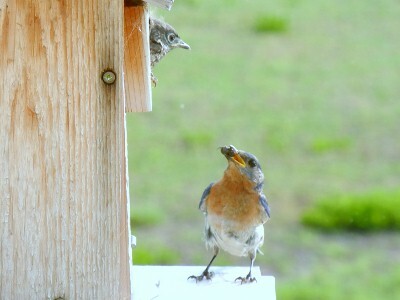 Our newest batch of baby bluebirds just left the nest. 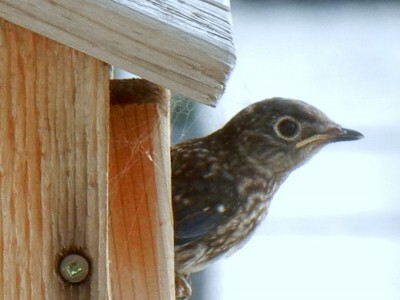 They will be gone for two weeks, then come back to feed on the meal worms we put out for them. Hopefully they will have a second brood yet this summer.